Songs are a part of modern culture and are ingrained in the global psyche. National occasions, religious ceremonies and personal triumphs are all celebrated with song. Over the last one hundred years, the song has become more commonplace, on radio, film, television and now the World Wide Web. 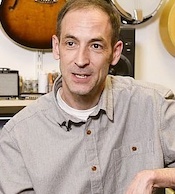 There have been many exponents of the craft of songwriting who have helped redefine the modern popular song – Irving Berlin, Cole Porter, Woody Guthrie, Bob Dylan, John Lennon, Paul McCartney, Ray Davies, Carole King, Paul Simon, Joni Mitchell, Stevie Wonder and Bob Marley are just some of the writers who have elevated the 20th Century Songbook to universal acceptance whilst using song as a means to explore the human condition. Having worked in palliative care for the last 4 years, I have realised the potential that songwriting offers a patient with a life-limiting illness. Complex emotions and feelings can be explored, expressed and then contained by this art form that is traditional yet contemporary, ancient yet forward looking. Fear of dying, loss of identity, messages for loved ones and the natural world are all themes that arise again and again as patients make sense of their prognosis and their existential questions. The finished song can offer a means for a person to reflect on the life they have lived whilst also forming a legacy, offering a chance to say “I was here.” I have regularly seen songs take on a life of their own, being played at funerals and shared amongst bereaved families and friends, helping to make sense of their loss. Since the birth of recording technology in the 20th Century, a large industry has grown around selling music and song to a hungry general public. However, I believe that for thousands of years, songs and songwriting have been an important part of mankind’s development, helping us to consider ourselves, to connect with others and form relationships, to make sense of who we are. And even now, in this modern world seemingly driven by financial outcomes, I feel that songs still have important work to do. 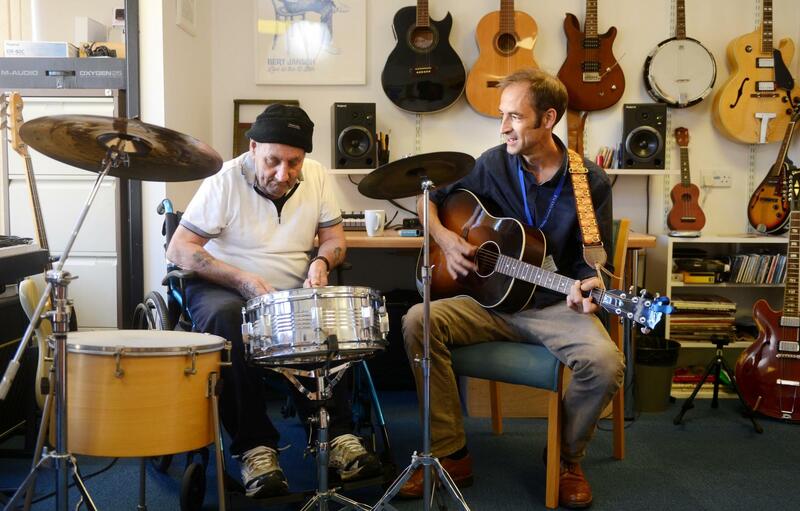 Tom Crook is the music therapist at Sobell House Hospice in Oxford. As well as working in palliative and bereavement care, he has presented his work at a range of events in the UK and Europe. Before training at the University of the West of England, he worked as a professional musician within the music industry as a session guitarist, producer and published songwriter, with such artists as Axwell (Swedish House Mafia), Elisabeth Troy (Clean Bandit), Mew, Neil Halstead (Slowdive), Jamie Scott (One Direction), A1 People and Jackie Oates. He continues to write and sing his own songs with Band of Hope, a collective from Wallingford, Oxfordshire, who often perform at festivals such as Latitude, Wood and Kendal Calling and have recently had songs aired on BBC 6Music. Fabulous. What brilliant work to be doing.